Pollinator BioBlitz participants observe and identify pollinators between October 5 - 21, 2018. All ages and abilities are encouraged to find pollinators and nectar-producing plants, take photos, and share with friends! Share observations by posting a photo or video to Instagram, iNaturalist, or the Facebook event pages (week 1 and week 2). Pollinator observation challenges and informative "links of the day" will be emailed to all registered participants daily add to the fun. The monarch population across the Eastern United States, Canada, and Mexico has declined by nearly 80% over the past 20 years. Besides monarchs, 30 native pollinator/flower-visiting species (bees, butterflies, and moths) are designated as Species of Greatest Conservation Need. Pollinators (butterflies, bees and moths, bats, hummingbirds, wasps, flies, and beetles) sustain native plant species, human food crops, and even crops for livestock. You can help! Learn about pollinators and pollinator habitat with these resources. You can help by planting native, nectar-producing plants and pollinator gardens in communities, schools and backyards across Texas. Observers can share their photos and videos on Instagram and Facebook (#TXPollinators). Pollinators can be difficult to identify, so observers are encouraged to post what they know, which may be a simple description of the species or its behavior. 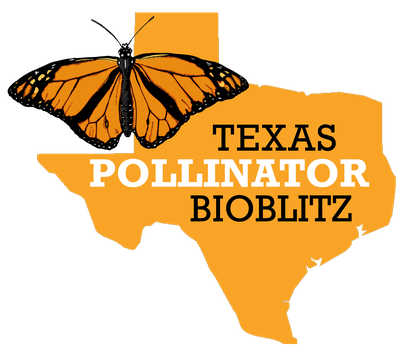 To take part in citizen science, participants can post a photo and more details on iNaturalist (2018 Texas Pollinator BioBlitz project), which records the date and location of the observation and allows other naturalists to help with identification.